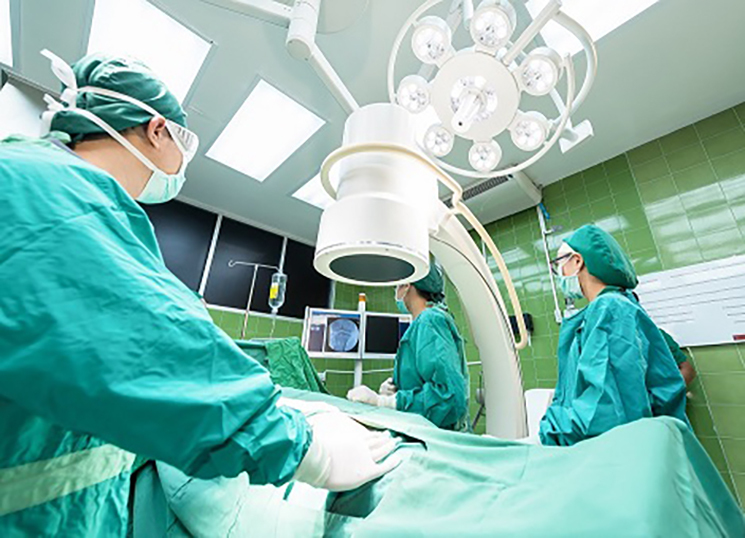 There are several new changes affecting health care design and construction associated with the upcoming 9th Edition adoption. The 9th Edition of 780 CMR is an amended version of the 2015 International Building Code (IBC). These changes include smoke damper omissions, occupancy classifications, smoke compartment and suite sizes, and third party firestopping inspections. Likely the most impactful change in the upcoming 9th Edition is the new exception in Section 717.5.5 that allows the omission of smoke dampers at HVAC duct penetrations in smoke barrier walls in Group I-2 occupancies. To qualify for the exception, the HVAC system must be “fully ducted” per Section 603 of the International Mechanical Code and the area is required to be protected with quick response sprinklers in accordance with Section 903.3.2 of the IBC. These conditions should be easily satisfied in new construction. Note that this new exception aligns with the requirements of NFPA 101 which have allowed smoke dampers to be omitted at smoke barrier walls since 1991. Read more about this change in our previous blog post here. The use and occupancy classifications of buildings and structures are located in IBC Chapter 3. Hospitals, nursing homes, and behavioral health institutions have historically been classified as Group I-2, Institutional Occupancies. Under the 9th Edition, Group I-2 occupancies will now be separated into 2 different occupancy conditions. Condition 1 includes facilities that provide nursing and medical care but not emergency care, surgery, obstetrics, or in-patient stabilization units such as nursing homes and foster care facilities. Condition 2 includes facilities that provide emergency care, surgery, obstetrics, or in-patient stabilization units such as hospitals. The code requirements for the two conditions vary as indicated in IBC Section 407. This is an organizational change in the Code, however should not affect the code requirements in the built environment. Under the 8th Edition, the maximum smoke compartment size is limited to 22,500 square feet. This size is increased to 40,000 square feet in hospitals under Section 407.5 of the 9th Edition. Although this is a substantial change, it should be noted that most hospitals receive funding from the Centers for Medicare and Medicaid Services (CMS) and therefore are also required to comply with the 2012 Edition of NFPA 101, Life Safety Code. NFPA 101 Section 18.3.7.1 requires smoke compartments in new construction to not exceed 22,500 square feet and therefore this more stringent requirement still applies. Note that at the 2017 NFPA Conference & Expo earlier this month, the proposed code change to increase the smoke compartment size to 40,000 square feet in the 2018 Edition of NFPA 101 passed, however it still needs to be adopted by CMS in order to designers to utilize this less restrictive requirement. The 9th Edition Section 407.4.4 allows considerable size increases for patient care sleeping and non-sleeping suites. These include permitting sleeping suites to be increased from 5,000 square feet to 7,500 square feet (10,000 square feet if full smoke detection in suite), and non-sleeping suites to be increased from 10,000 square feet to 12,500 square feet (15,000 square feet if full smoke detection in suite). However, like smoke compartment sizes, NFPA 101 is more restrictive in their suite size limitations. NFPA 101 Section 18.2.5.7.2 permits both sleeping and non-sleeping suites to be a maximum size of 10,000 square feet, which is more restrictive than the IBC for non-sleeping suites. This is another example of why hiring a life safety consultant like Code Red Consultants, that is familiar with both IBC and NFPA 101 provisions, is so critical to the success of your health care project. There is a new requirement in the 9th Edition which requires a special inspector for firestop systems in fire-resistance rated assemblies that are tested and listed where required by Chapter 7 of the Code. Section 1705.17 of the 2015 IBC requires the third party inspections for high-rise buildings as well as those buildings assigned to Risk Categories III and IV which includes all Group I-2 occupancies. Read more about this significant change in our Special Inspection article contained within this newsletter or on our blog.